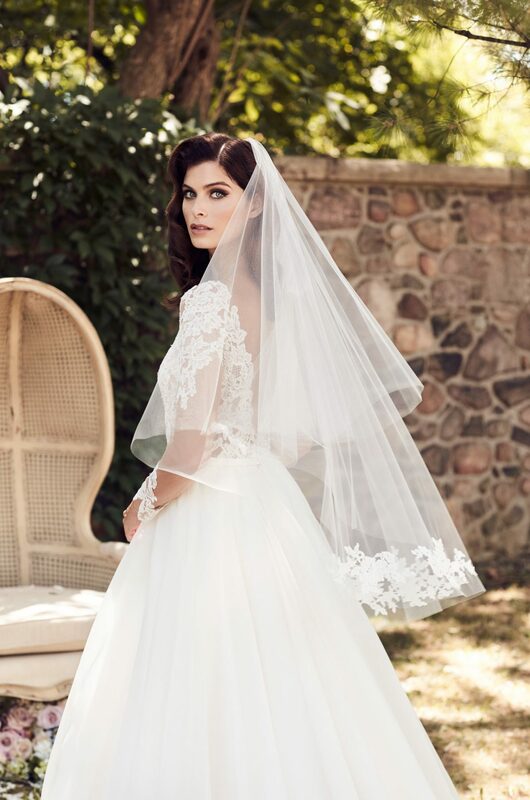 Brides who want a little bit of emphasis on their veil, but wants to control the amount of lace could go with lace appliques. 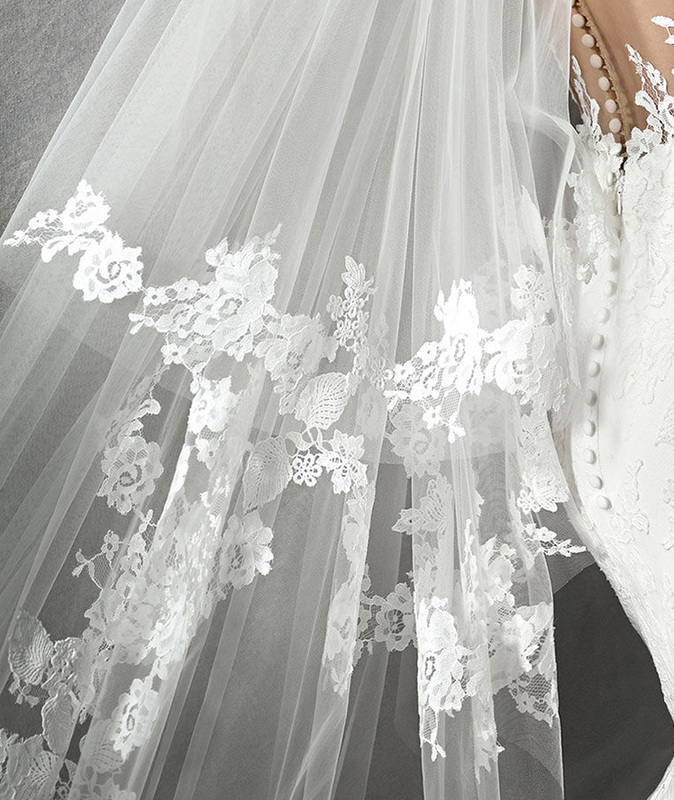 It could go all the way around the veil or be only on the edges. 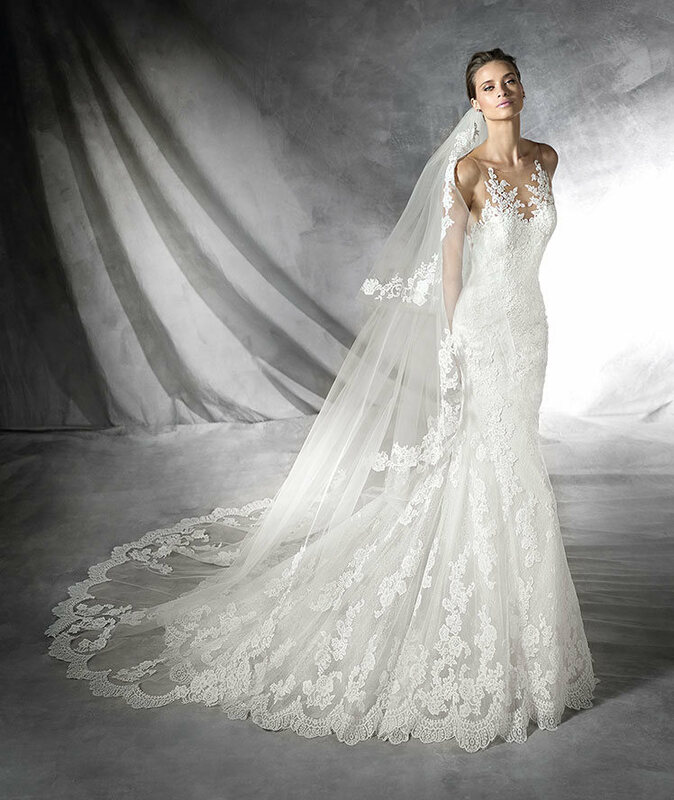 Brides that want a simpler classy veil and do not want lace should go with a beaded veil. 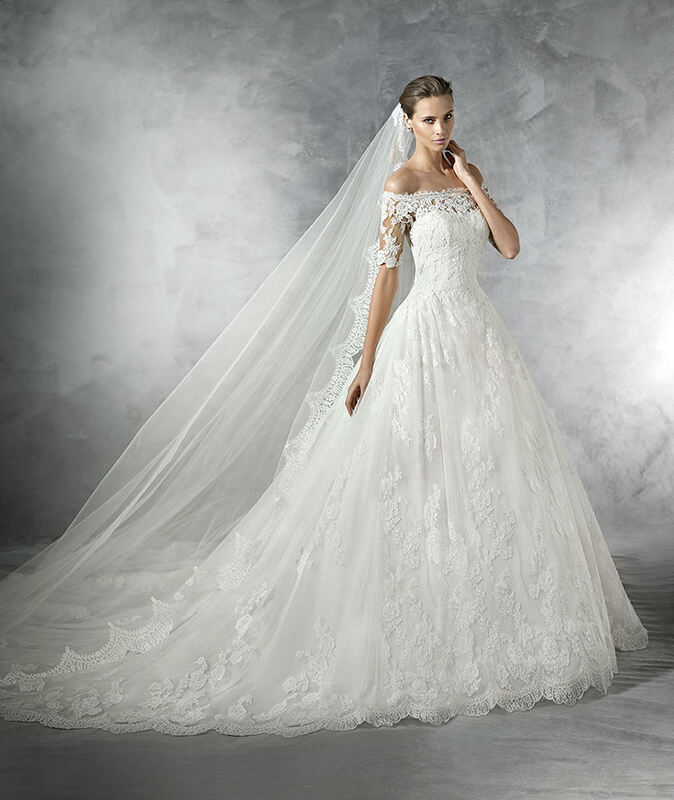 There could be a design on the veil or have the beading disbursed throughout the veil. 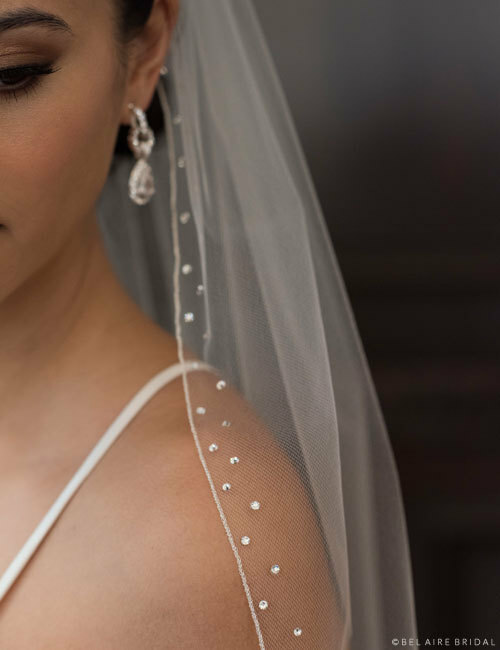 The beads could be big sparkly and bright or subtle and tiny beads. 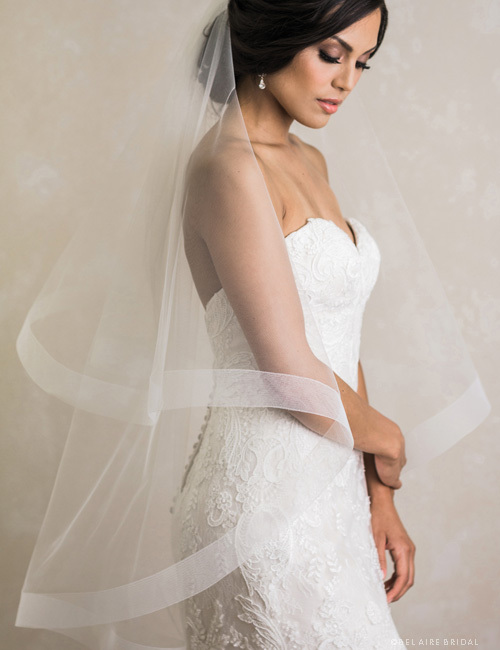 Brides who want to feel like a Queen can go for a more dramatic veil length. 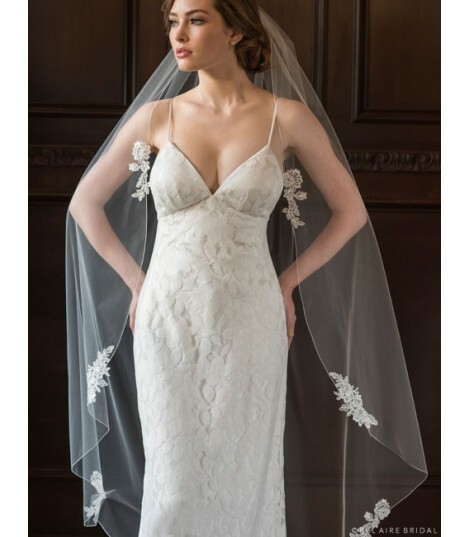 This is a popular trend for royal brides and makes big statement when they walk down the aisle.